Metal roofing is an excellent choice for your home since it is both durable and attractive. Metal roofing is also energy-efficient, so it will help you to lower your energy bills and reduce your home’s carbon footprint. Yet despite all the benefits of metal roofs for your Glendale home, many myths abound about this roofing material. It is important that you work with an experienced Glendale roofing contractor to get the truth about how this roof can serve your home or whether you need to consider another roofing type. Sure, metal is a conductor for lightning. However, it does not attract lightning. Instead, the tallest object in the vicinity is what typically attracts lightning. Unless you live in the middle of the desert, your house is likely not the tallest object in the area. That said, if lightning does hit your metal roof, the damage is likely to be minimal. If lightning were to hit a shingle or wood roof, the roof would likely catch on fire. A metal roof will not. This myth seems to make sense. Hit metal with any object, and it creates a loud clang. Rain pounding on the thin, tin roof of a shed sounds like someone beating the drums. Yet today’s metal roofs are made of thick, quality metal that is laid over a noise-dampening underlayment. Even during the peak of the Arizona monsoon season, you won’t hear any more noise from a metal roof than you would any other type of roof. Today’s metal roofing is coated with a sealing material that protects it from rain and other corrosive elements. Typically, the coating consists of zinc, aluminum, or a combination of other elements that will not rust. The roof is then painted to get the look you want. The paint also acts as another layer of protection for the roof. Metal roofs can cost a bit more than other roofing options. However, the savings you will enjoy over the life of the roof will actually bring down the cost of ownership and make the roof a more affordable option. Metal roofs last much longer than most roof types (up to 50 years), they don’t require as much maintenance, and they lower your energy costs. All of that adds up to significant cost savings. If you aren’t sure whether metal roofing is right for your home, we urge you to call Arizona Roof Rescue to talk to an experienced roofing contractor about your options. We can help you understand how metal roof compares to the other options for your home, including the life span, maintenance, and cost. You may find that a metal roof also gives your home a unique look that will set it apart from your neighbors. 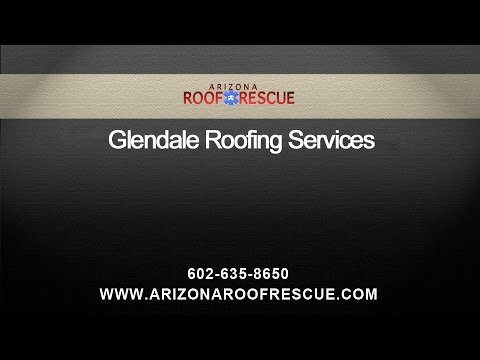 Contact us today to learn more about our Glendale roofing services.